A Graph That Should Scare You. I saw this post from Mark Mulligan last week and wanted to make sure I mentioned it. 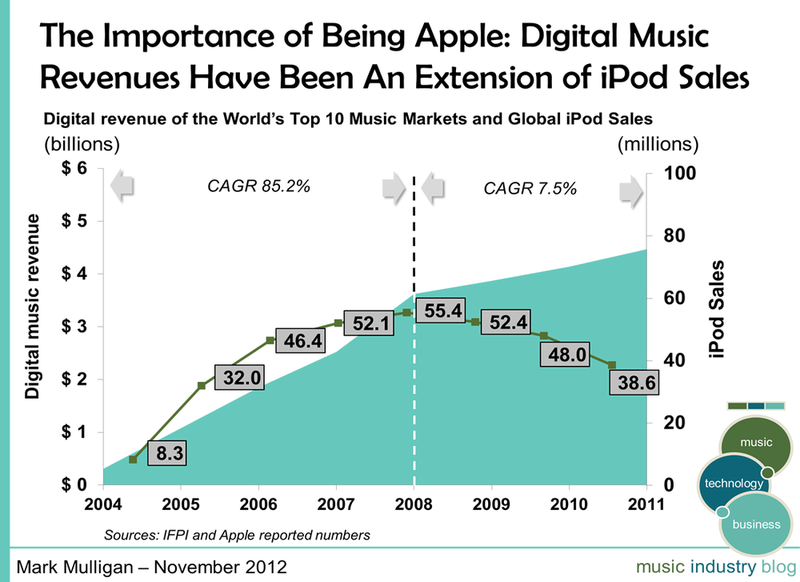 The numbers scare me, but I keep coming back to his idea that there is still room for innovation and disruption. Wishful thinking? Let me know what you think by leaving a comment.